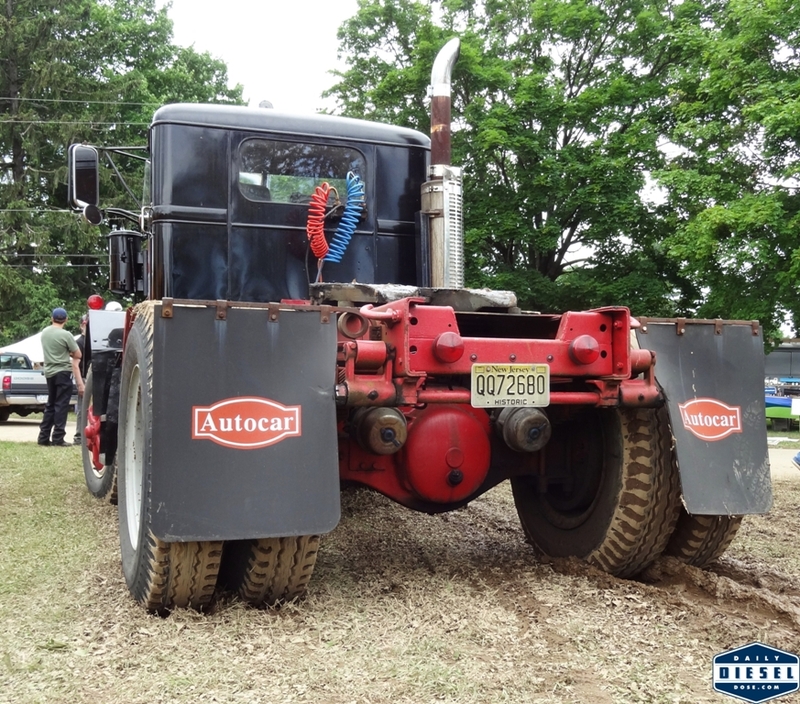 There were more than a few Autocar trucks on hand for the 2014 ATCA national meet in Macungie this past weekend. I didn’t even come close to looking at them all let alone taking photos but I did grab a few. 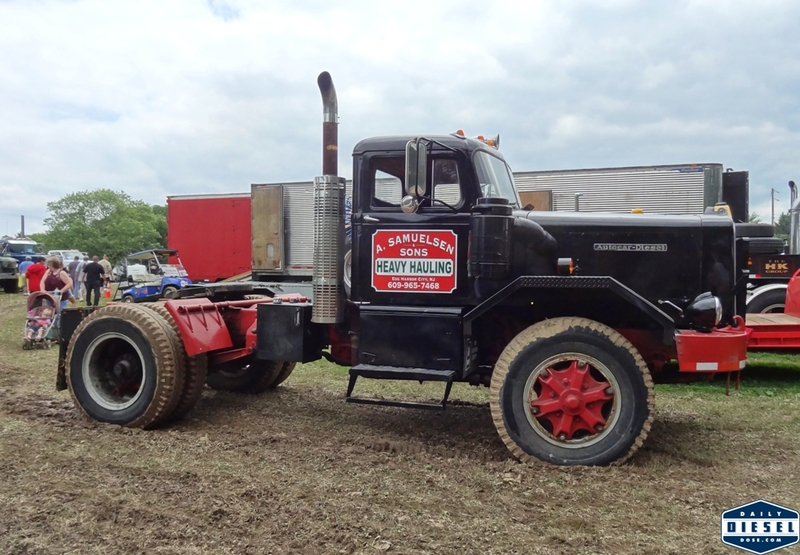 This single axle model caught my eye as it sat in the mud. Nothing wrong with a little mud on the tires if you ask me. 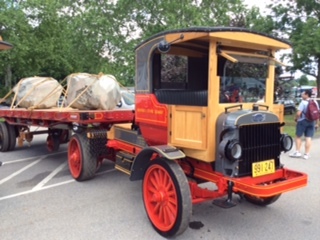 David also attended the show and was nice enough to email some photos of other A-Cars of the show field. 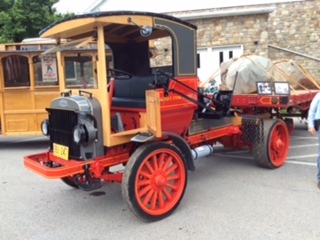 The 1926 model seen in the gallery below came complete with two large boulders. As the story goes the boulders were used as props in the Jack Reacher movie staring Tom Cruise. 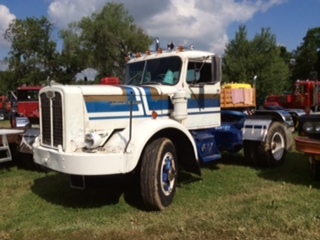 The final action scene of the movie was filmed in the quarry that belongs to the owner of this magnificent old truck. Thanks to David for helping fill in the gaps. Tomorrow the rest of my show photos (and some of yours) will be up along with some video. Until then here is teaser clip of a very sharp Diamond Reo. 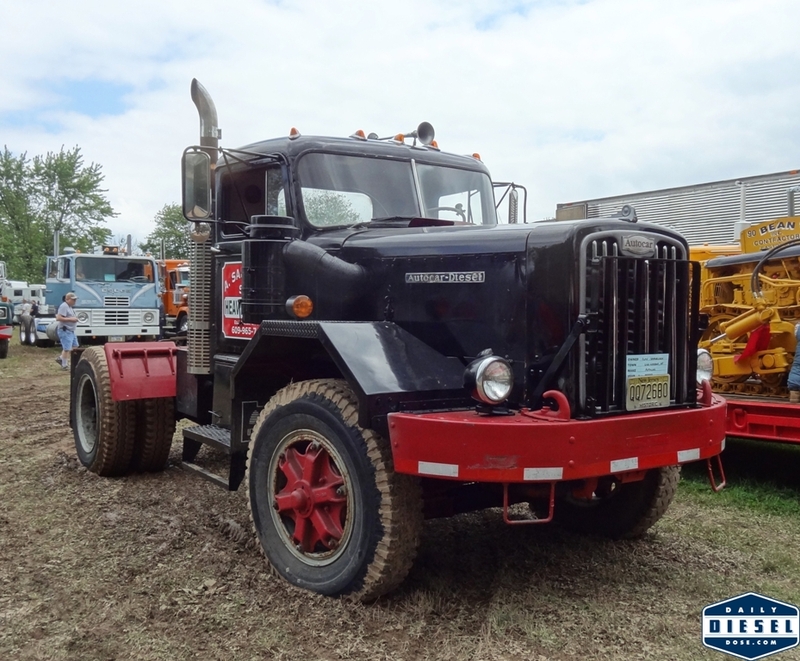 This entry was posted in Autocar Trucks, Truck Show and tagged classic autocar semi truck. Bookmark the permalink.